Where have all the sales hunters gone? With every meeting I have with sales leaders, it becomes more and more apparent that the number one cause of a lack of sales is that their ‘sales people’ are not in front of enough qualified prospects on a daily basis. When assessing sales teams, I find that less than 10% of the sales people have the skills needed to pro-actively prospect and source THEIR OWN BUSINESS and not rely solely on leads, ‘call in’s”’or ‘walk in’s’. This is a massive challenge for companies, sales leaders, sales managers and sales people, especially in today’s challenging economy. Yet I see little to nothing being done about it apart from the continuing churn of the sales force and hoping for the sales superstar to arrive and save the day! Unless we make the number ONE priority of sales people to focus on the ability to pro-actively develop new business (sales hunter), I only see the situation worsening. Too many ‘Account Managers’ and ‘sales people’ have never been taught the ‘why’ and ‘how to’ prospect effectively. They have relied on leads and on existing accounts for their business. They believe posting an article on Facebook or WhatsApp is prospecting. They have an inherent fear of prospecting and cold calling. They have no clear prospecting strategy, structure and discipline for success. Their Sales Manager is not comfortable to lead by example on the above points. They have not been shown a prospecting system that they can believe in and that is different from the tired, boring way of the past. In this economic environment, the old saying of ‘if you keep doing what you do, you will keep getting what you get’ is no longer true. You will get less! 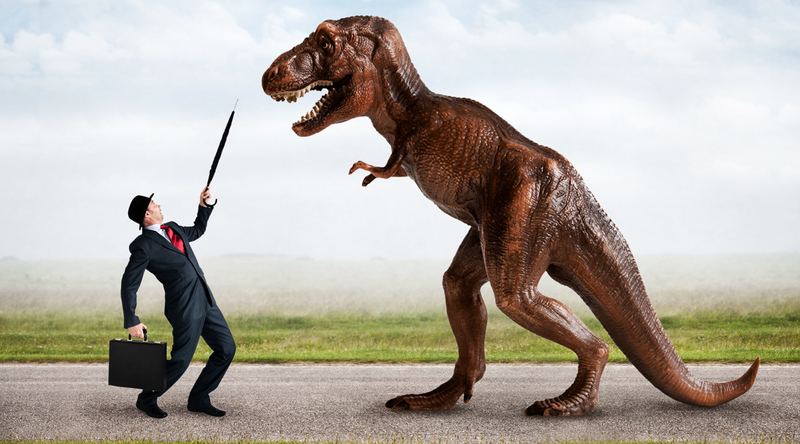 It’s time to develop sales hunter skills and stand out from your competitor’s sales forces. You can have the best product, service and offering but it is irrelevant if people don’t know that you exist. How important is it that you and your team are in front of more qualified prospects every day and if so, what are you doing about it? Mark Keating is a speaker at Build a Business LIVE.